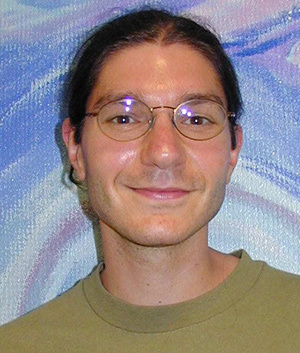 University of California, Berkeley, theoretical astrophysicist Eliot Quataert received an email out of the blue a few weeks ago offering him $100,000 a year for five to 10 years to pursue whatever research he wants. After checking whether the email was a spoof, he accepted. Eliot Quataert, professor of astronomy and physics, has been named a Simons Investigator, one of the first class of 21 announced July 24. Offers from the Simons Foundation went out to 21 mathematicians, theoretical physicists and theoretical computer scientists across the country, and the first group of Simons Investigators was announced today (Tuesday, July 24) in a paid ad in The New York Times. The Simons Foundation is a private foundation dedicated to advancing the frontiers of research in mathematics and the basic sciences. As with the MacArthur Foundation “genius awards,” the recipients were unaware they were being considered for the award, and the money comes with no strings attached. The support is for an initial period of five years, with an anticipated renewal for an additional five years that is contingent on the results of a review in the fourth year, according to Elizabeth Roy, program manager for the Simons Foundation’s Division of Mathematics and the Physical Sciences. The Simons Foundation also will provide $10,000 per year to Quataert’s department and will pay UC Berkeley an additional $22,000 per year in indirect or overhead costs. The foundation, founded by Jim and Marilyn Simons in New York in 1994, gave $60 million in May to UC Berkeley to create the Simons Institute for the Theory of Computing. The institute will be a nexus where top computer theorists and researchers from around the globe can explore the mathematical foundations of computer science and extend them to tackle challenges in fields as diverse as mathematics, health care, climate modeling, astrophysics, genetics, economics and business. Quataert specializes in modeling gas clouds, in particular clouds of ionized gas called plasma, and how this gas behaves in stars, galaxies and even close to black holes. Using approaches that range from pencil and paper calculations to simulations on some of the world’s largest supercomputers, he can calculate the intensity and frequency of radiation produced in order to compare with what astronomers observe. He has worked, for example, with astronomers who study the massive black hole at the center of the Milky Way Galaxy to understand how clouds of gas fall inward. But he also models the hot plasma in the sun to understand how it produces such a wide temperature range — from 6,000 degrees Celsius at the surface to millions of degrees in the corona. With the new funds, Quataert has already hired a post-doctoral fellow to model gas around black holes and understand how the gas produces the radiation, temperatures and magnetic fields observed by astronomers as it swirls into the oblivion of the black hole. By fall 2012, he will have two post-docs and six graduate students working on various projects. “This kind of support is critical for pursuing problems where you don’t necessarily know what you’re doing, they’re just interesting,” he said.